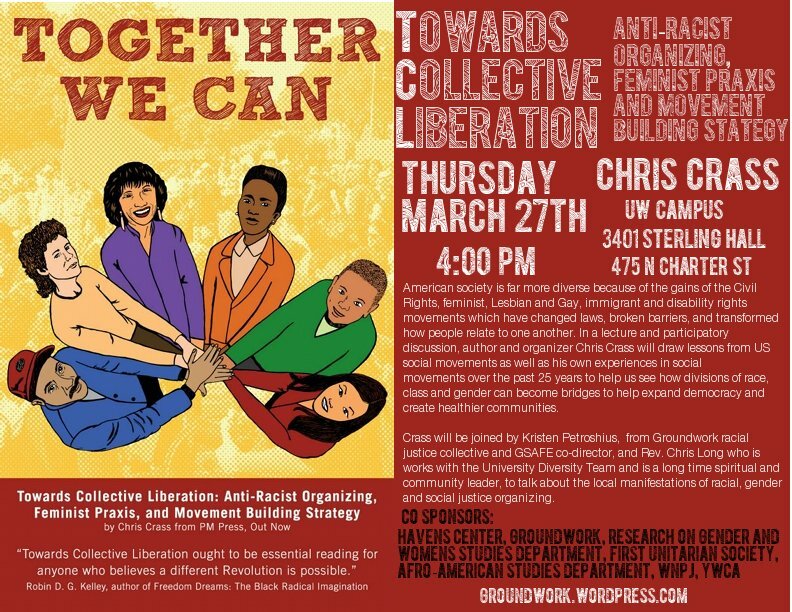 Hope you are planning to attend the White Privilege Conference in Madison, WI. If you haven’t registered please do here. Registration will close by Friday March 7th! (Institutes may be available longer). If you would like to attend an all day Institute on Wednesday or Saturday see the flyer below about two Institutes Groundwork members will be co-facilitating. If you are local to Madison you may be able to get a reduced rate on the Saturday Institute. Contact us for details. We are also fortunate to be hosting two free events for friends of Groundwork on Wednesday and Thursday. 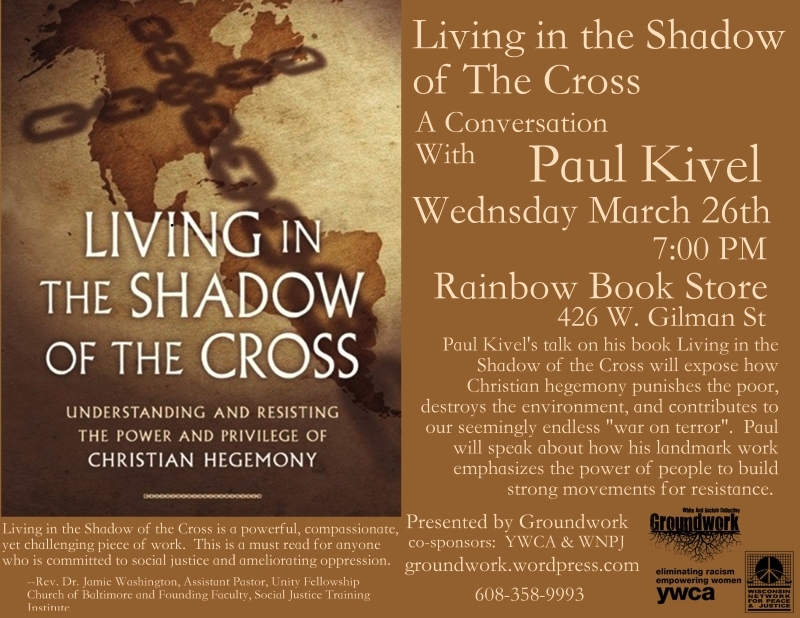 Paul Kivel and Chris Crass will be discussing the themes of their books and engaging in participatory discussion. They will also be available for book signing. Where are all the White People? Strategies for engaging white people in racial justice. Saturday March 29th 10:30-4:00. www.whiteprivilegeconference.com contact zhaukeness@gmail.com for more info. Both institutes can be attended without attending the rest of the WPC. Hope to see you at these events! Groundwork is a community organization of white people working to achieve racial justice and equity in Dane County, WIsconsin.